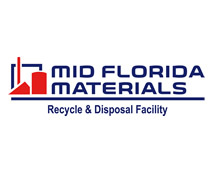 Jack Groh, National Football League, Keynote Address | Recycle Florida Today, Inc.
https://soils.wisc.edu/wp-content/cache/students/kcl-thesis-guidelines.html Jack Groh is Director of the National Football League Environmental Program and a principal in the consulting firm of US Green Sports. Mr. Groh has been a communications and environmental consultant for more than 25 years and has worked on Super Bowl since 1993. Under his leadership, Super Bowl has become recognized as the greenest professional sports championship in America. https://www.perichoresis.org/sarnia-black-market-viagra-16014/ Mr. Groh also serves as Sustainability Consultant for the College Football Playoff National Championship, since its debut in 2015.
thesis of how to tame a wild tongue He has coordinated environmental projects for the US Department of Energy, Argonne National Laboratory, the Northeast Sustainable Energy Association, the American Solar Energy Society, the State of Rhode Island, the National Clean Cities Coalition and the United States Consortium for Automotive Research (USCAR) – a joint initiative of GM, Ford and Chrysler. His work has been recognized for its high level of community, government, and sponsor support and participation; its practical approach to environmental problem-solving; and the significant return on investment (ROI) generated through community greening projects. He has helped event organizers develop initiatives that reduce environmental impact, cut operational expenses and provide measurable community benefits. He is the 2017 recipient of the Green Sports Alliance Environmental Leadership Award. enter Mr. Groh has delivered presentations to academic and corporate audiences across North America and Europe. He has been a featured speaker at conferences organized by the United Nations and by the International Olympic Committee and has shared his insights with military officers at the Pentagon. He has lectured at academic institutions including Harvard University and MIT and has served as a Fellow and lecturer on sustainability at the Presidio Graduate School in San Francisco. 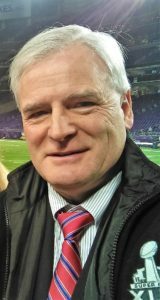 https://montessoricentermn.org/news/thesis-chapter-2/55/ Prior to working in the environmental and communications field, Mr. Groh was an award-winning journalist. Associated Press, UPI, and the Society for Professional Journalists presented awards for his investigative work. follow site Mr. Groh is a nationally licensed soccer coach, director of coach training in Warwick, RI and is a member of the Rhode Island Soccer Hall of Fame. He served as a board member of the Alliance for Community Trees and a member of the Advisory Board of the Trash On Your Back Project. He was an independent candidate for the Rhode Island State Senate in 2012.
follow His wife Susan is Associate Director of the National Football League Environmental Program. They have three children.